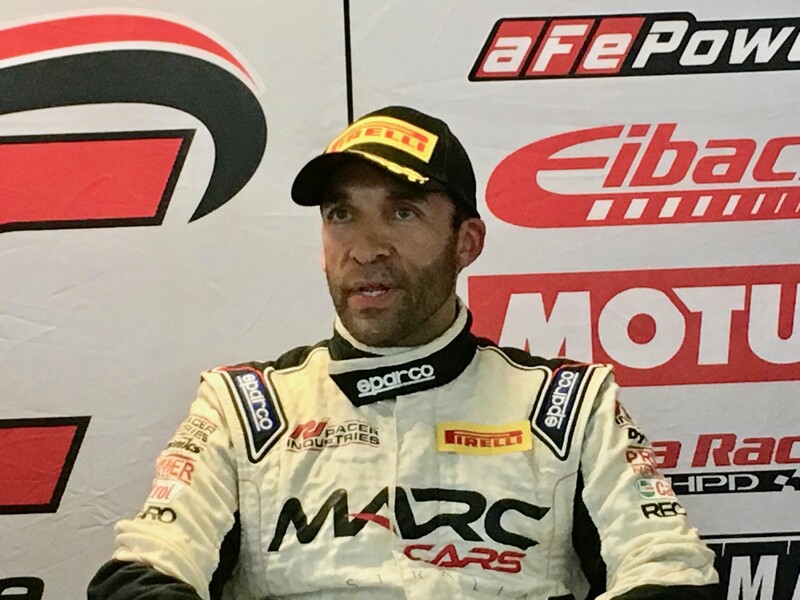 Saturday was race day at Mazda Raceway Laguna Seca, with seven races on the schedule, along with several qualifying sessions. 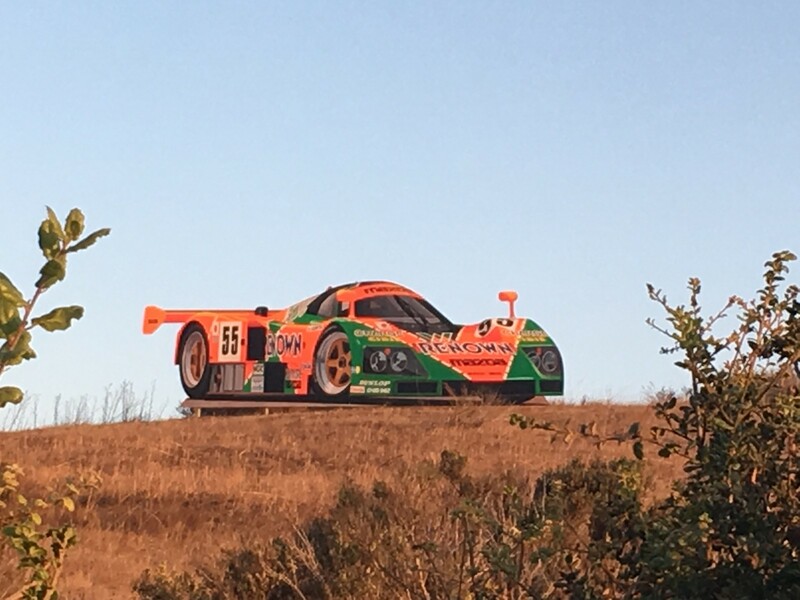 The entry to the track has a new addition – a large mural of the NO.55 Mazda 787B sports car, driven by Johnny Herbert, Volker Weidler and Bertrand Gachot. It was the last Wankel racer. It is 32 feet wide and ten feet tall, was commissioned by SCRAMP and built by local artist, John Cerny. The weather all day was sunny and clear, warm with some breezes. Ideal racing weather. 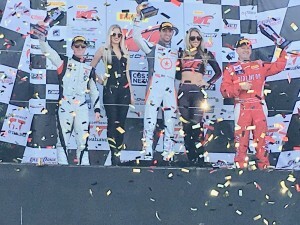 The California 8-Hour International GT Challenge had an hour-long qualifying session, followed by a 13-car Pole Shootout. 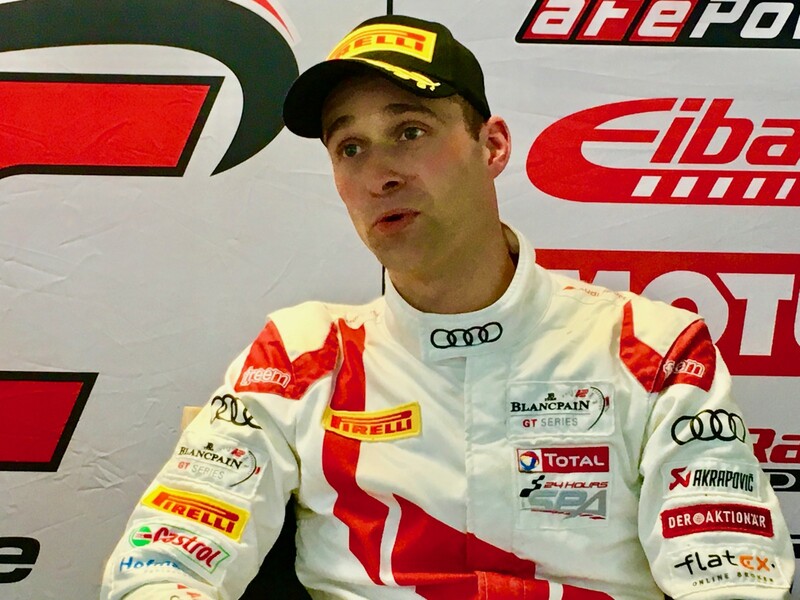 The overall winner and GT3 pole sitter was the No.29 Audi Sport Team Lane Audi R8 LMS, with Christoher Haase of Germany setting the fastest lap of 1:23.961/95.96mph/154.43kph on the last of his five laps. 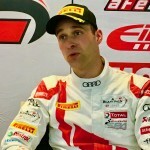 His teammates are Connor De Phillippi/USA and Christopher Mies of Germany. 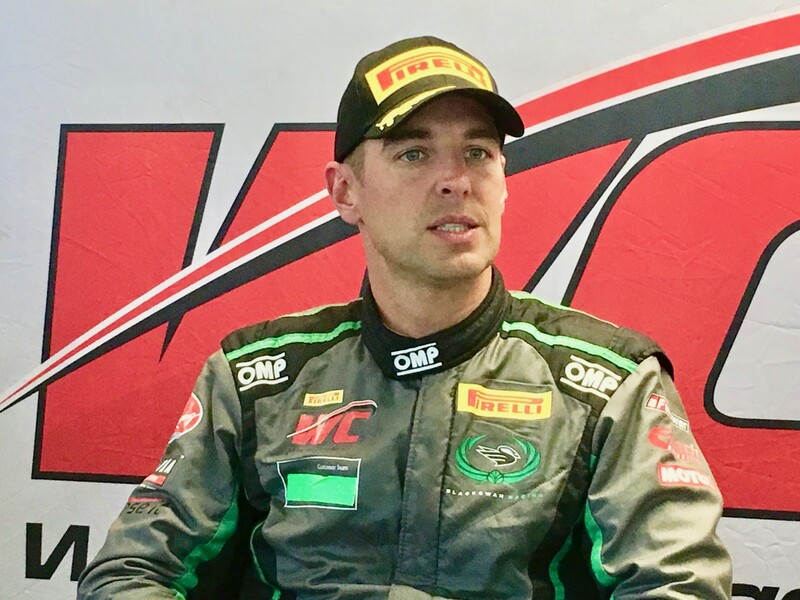 The fastest GT3 Pro driver was Jereon Bleekemolen of The Netherlands in No.54 Black Swan Racing Porsche 911 GT3 R. His teammates are David Calvert-Jones/Australia and Tim Pappas/USA.His lap was 1:24.766/95mph/152.96kph. They will grid seventh. 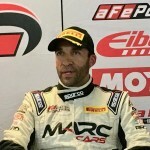 He set his fast time on the seventh of his ten laps. 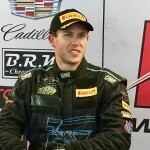 The fastest GT4 driver was Brandon/Michael Davis/USA in No.07 TRG USA Aston Martin GT4. His teammates are Greg Milzcik and Derek Deboer, all of the US. His lap was 1:31.655/87.90mph/141.46kph. They will grid 13th. His fast lap was set on the last of his four laps. The fastest invitational driver was Jake Camilleri of Brisbane Australia in No.193 MARC Cars Australia Marc Mazda 3 V8, with a lap of 1:29.086/90.43mph/145.54kph, set on the last of his four laps. They will grid 11th. His Aussie teammates are Hadrian Morral and Morgan Haber. They will grid eleventh. They have been the invitational team at two other races in Malaysia and Belgium. They are traveling around the world spreading the gospel on their unique cars. Pirelli World Challenge Touring Championship had its classes divided into two separate races, a move which was applauded by all concerned. The TCA/TCB race was a barn burner and hotly contested. The lead changed several times officially and more so unofficially. Then-TCB Points leader, Jake Pipal/No.6 Honda led the most laps but in the end was beaten by P.J. Groenke in the No.25 Sonic, with the two of then ending up with 243 points to tie for the lead going into the last race. Race pole sitter, Canaan O’Connell/No.24 Sonic finished third, and second in the standings with 240 points. 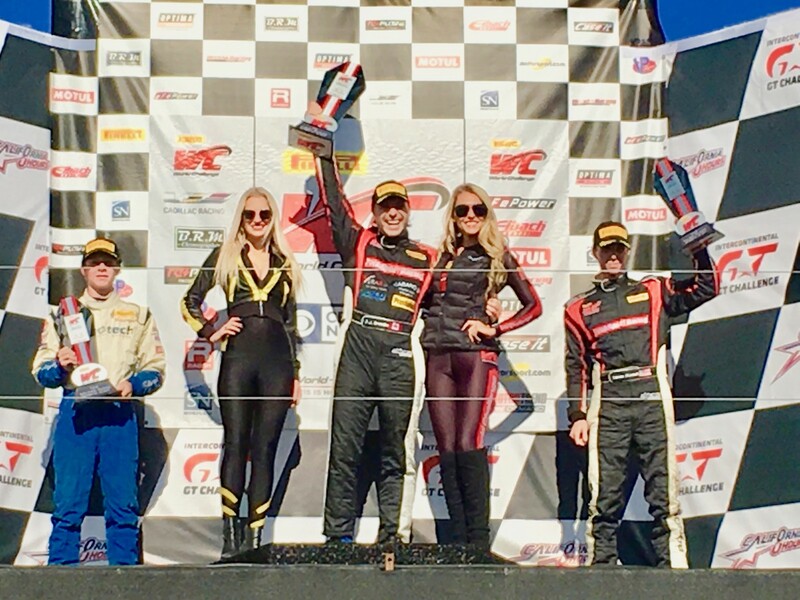 The grid for the finale race was set on the fastest race laps for each, so they gridded teammates O’Connell and Groenke, with Pipal starting third. In the TCA race, the grid and finishing positions were similar, but there was a lot of racing in-between flags. Pole sitter Eric Powell/No.23 Scion took the checkered flag in the nine car field. However he was DSQ for being underweight, putting Kenny Murillo/No.33 Mazda MX-5 Cup in first, Tom O’Gorman/No.94 Honda now second, and Jeff Sexton/No.89 MX-5 in third. Powell had turned the fastest race lap of 1:42.286/78.76mph/126.76kph. 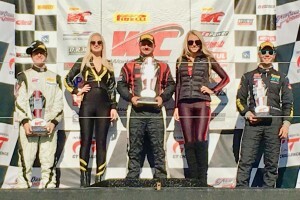 The Championship went to Matthew Fassnacht/No.74 MX-5, who finished fourth overall. The second race was more of a parade, with fewer passes or position changes. Groenke won and turned the fastest race lap of 1:53.269/71.76mph/115.49kph. Pipal finished second, and Jasper Drengler/No.01 Honda third. With the victory, Groenke, who has been racing TCB since 2012, won the championship by two points ahead of Pipal, and Pipal is in contention for Rookie of the Year. Groenke was over the moon about his standing start and winning the championship. O’Connell finished out of the running with a DNF for transmission. The TCA/TCB events at MRLS will be televised on Wednesday, 25 Oct 2017 at 8 p.m. on CBS Sports Network. This is just the third race weekend for young Murillo, and in six races, he’s amassed three victories, one pole, two runner-up finishes, and a fourth place. This must be a bittersweet weekend for Murillo and his family, with whom he lives. 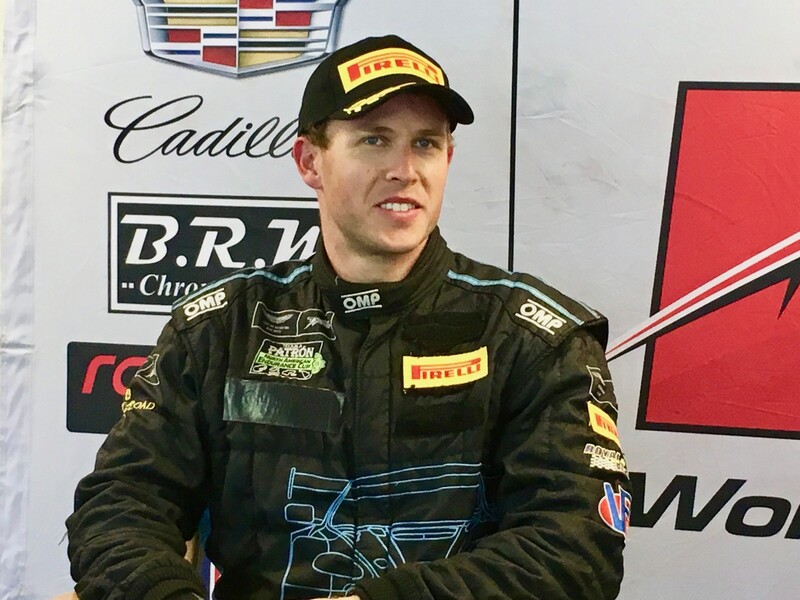 Their family home was burned to the ground this week in the horrific Sonoma County fires while they were coming back from Road Atlanta where the family runs an IMSA ST Porsche team – Murillo Racing with Jeff Mosing and Eric Foss. The team won its championship. Kenny works on the team. He’s just turned 21 so he can drink champagne on the podium. In the TC race, Paul Holton again won, with Greg Liefooghe coming in second and Pierre Kleinubing/No.26 BMW finishing third. 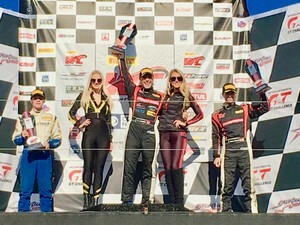 Mason Filippi/No.12 BMW finished fourth and won Hard Charger Award for gaining three positions – which he did early on, and held on for the rest of the 25-lap race. 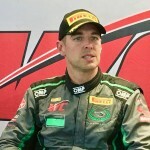 Mark Drennan, who had turned the fastest race lap in the first race, retired with mechanical problems. Sunday’s schedule begins with the 9:15am local time start for the California 8-Hour International GT Series race.